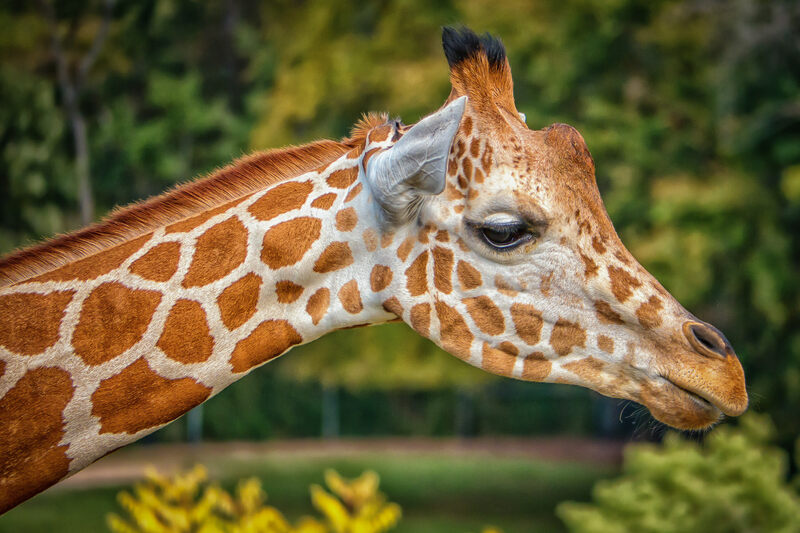 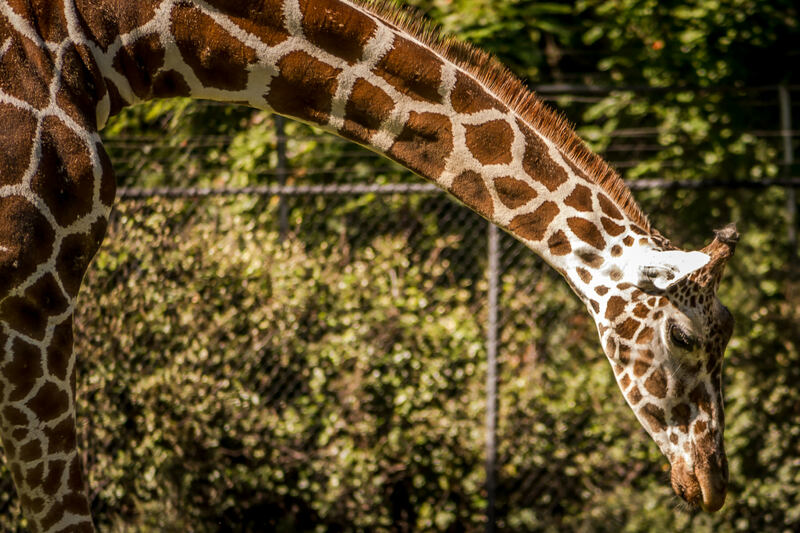 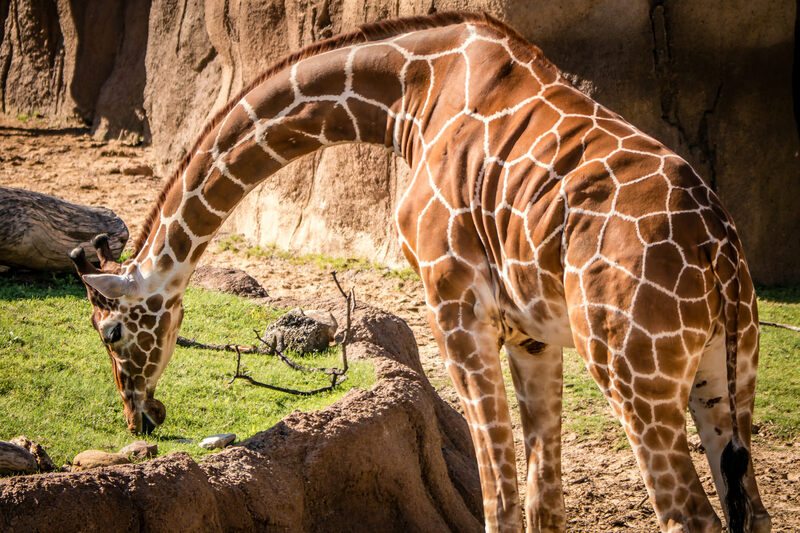 A giraffe’s neck gently curves in this shot from Tyler, Texas’ Caldwell Zoo. 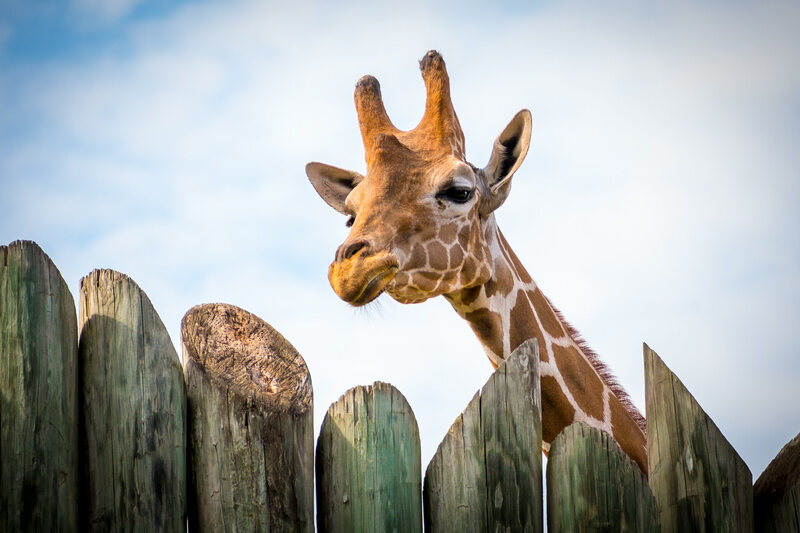 An inquisitive giraffe looks over a fence at Tyler, Texas’ Caldwell Zoo. 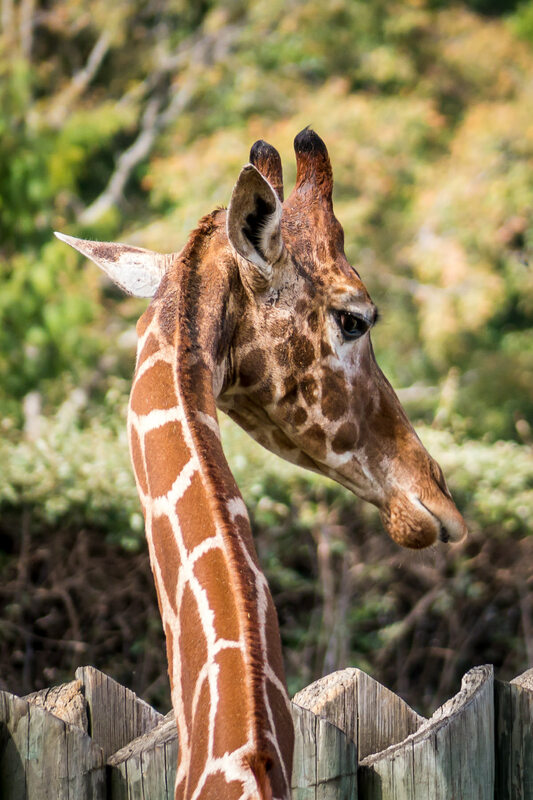 A giraffe arches its long neck at the Fort Worth Zoo. 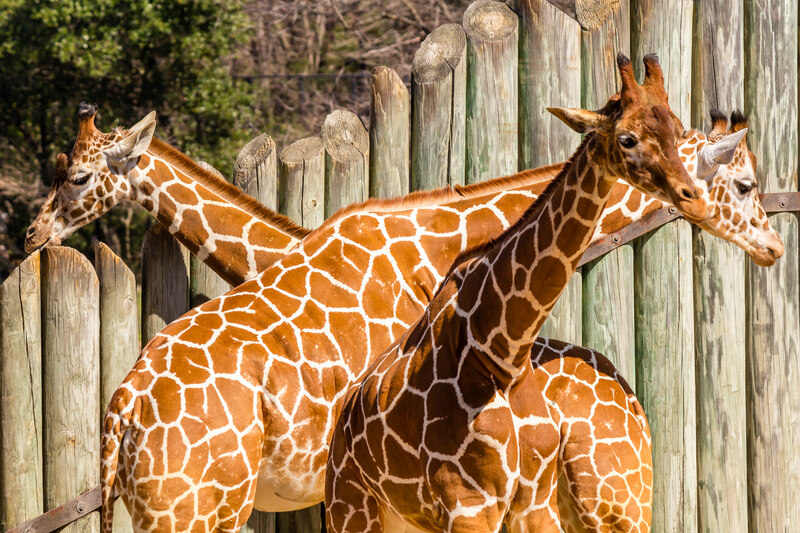 A trio of giraffes at Tyler, Texas’ Caldwell Zoo. 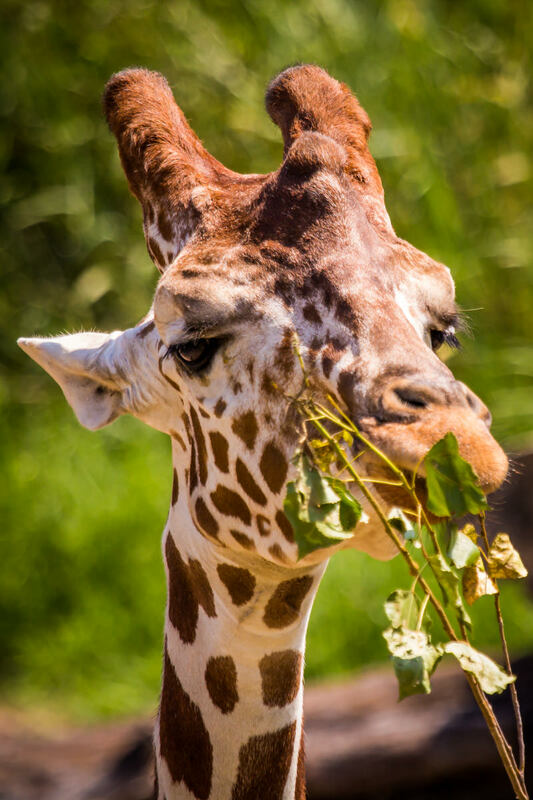 A giraffe at the Dallas Zoo pauses for a tasty snack. 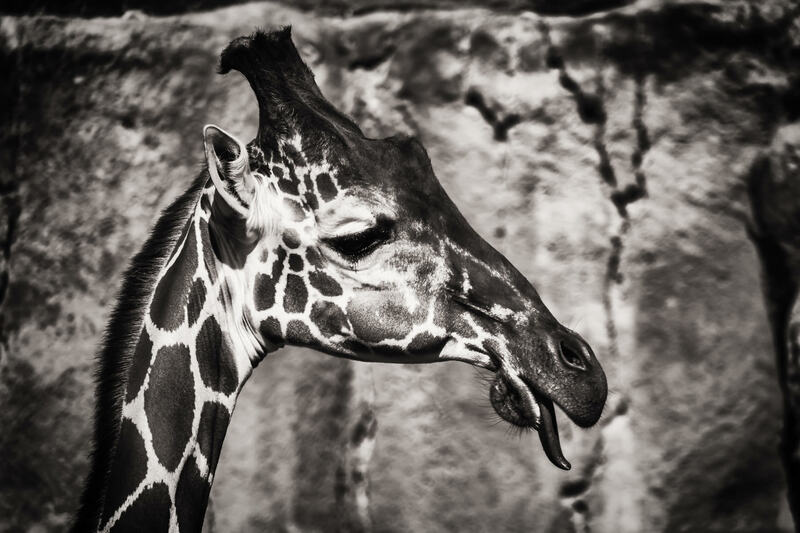 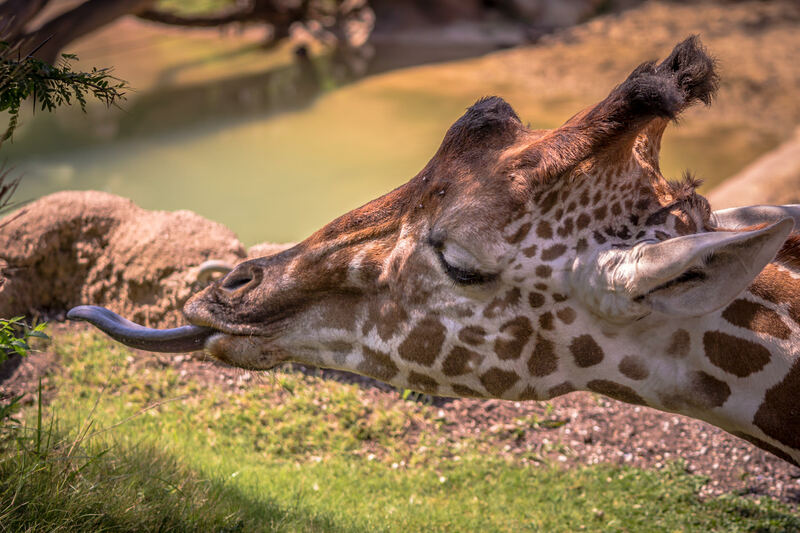 A giraffe reaches for a bite to eat with his long tongue at the Dallas Zoo. 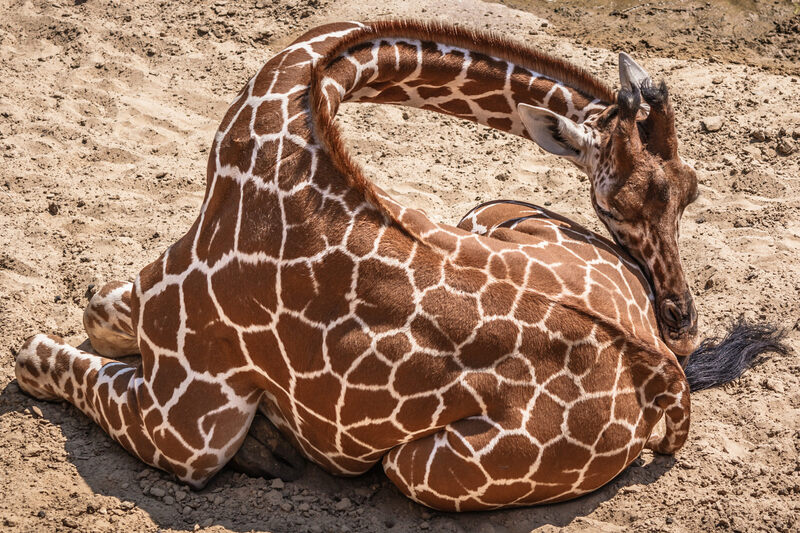 A giraffe at the Dallas Zoo naps in the early-morning sun.